Celebrate Día del Niño at WOW! Children’s Museum! 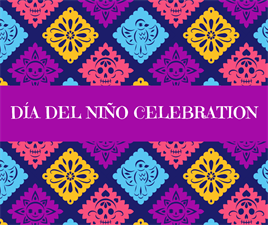 Our community celebration is filled with activities for the whole family honoring the Mexican traditions of “The Day of the Child”. Activities will include a dance performance by El Latir de Mexico, crafts, games, story times in Spanish and English, and more! Admission is FREE to this community event!